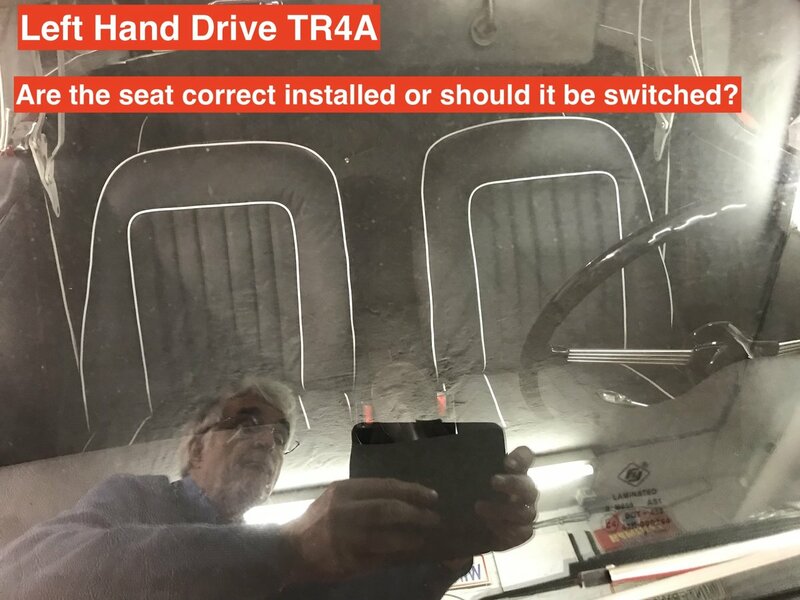 I will let renew the black leather seats, black doorpanels and black hood stowage cover of my TR4A. 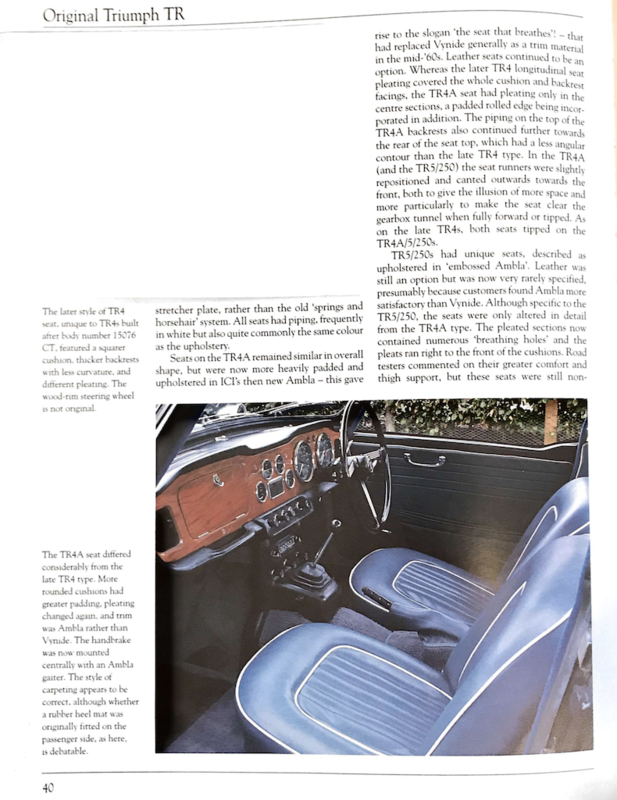 Does someone has pictures of the correct white piping of the leather seats and the hood cover for a TR4A? I found in the book "Original Triumph' of Bill Piggott the attached picture of the seats. The workshop will make what I ask for, is this the correct configuration I should ask for? Is there also a white piping on the backside of the seat as some TR4 seats have (it is not visible on the picture)? 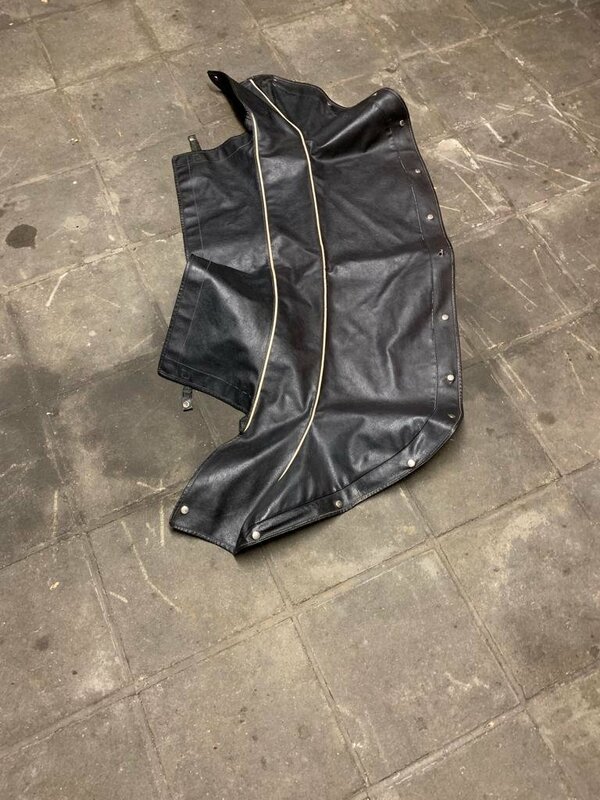 The other picture is my existing Hood Cover, does it has the correct piping configuration? Those seats are correct.There is no white piping on the rear of the seat and your hood cover is correct AFIK. I got the car back and wonder if the seats are not switched from position while I have problems touched the hood mechanism when tilting the seats. In attachment, you find a picture. It is a Left Hand drive car. Thanks for your reply. yes, they are in the correct position. The slightly angled side is outer most to help clear the frame etc. PS - there is a strange man inside your car !!!!! Roger ! That’s not a strange man. The strange man is indeed a TR'er!